As you can see, Arby’s clearly is not doing well at following the recipes of their food options, nor at accommodating customers’ wishes. 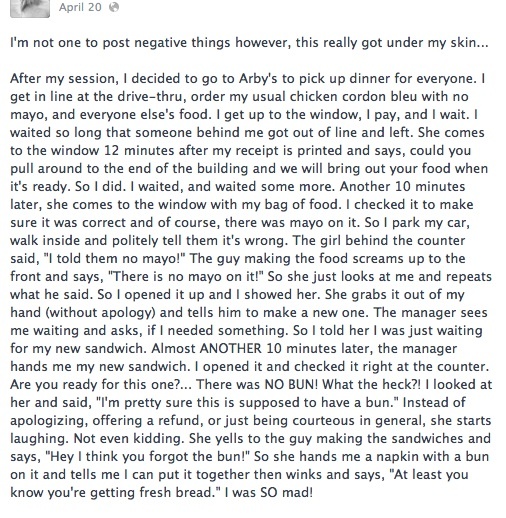 This Facebook post mirrors the same complaint that Professor Maxham made to our class earlier this semester. I haven’t been to Arby’s in ages, but it’s clear that if they want to remain profitable in the fast food industry, or at least be able to compete against McDonalds, they need a turn around fast.